We have heard a lot of excuses when it comes to exercise for the truckers, you might see them saying that they do not have time for it or either they do not want to spend to get a gym membership. Well, it seems quite relevant as also, when you look at the busy and the ever-changing schedules of the truckers, you can easily make out that it is really tough for them to take out time from their busy schedules and hit the gym on a regular basis. It almost seems impossible, but a trucker does not have to be a permanent member of the gym in order to exercise on a regular basis. There are a number of exercises that a trucker can do without even going to the gym. The best thing about Push-ups is that they do not require a lot of space and can be carried out anywhere anytime. If you know a thing or two about fitness, you must b aware of the fact that Push-ups work magically in order to tone your body and bring it into shape. So the next time you are waiting beside your truck for the load, your favorite pass time should be a couple of sets of Push-ups. Another useful exercise that a trucker can do in his busy schedule without hitting the gym is dips. It also requires minimal of space, as a trucker you can use the support of tires in order to carry out the dips properly. This exercise is really good for the triceps and sometimes for chest as well, it is just ho you carry it out. If you a do it with your arms together it will tone your triceps and if you are going to do it with arms wide open it will have its effects on your chest. Dips can be really useful for a trucker who does not have ample time available at his disposal. Sit-ups are the easiest, as far as exercise is concerned, you can do a couple of sets of sit-ups right off your bed. Considering, the busy schedule of a trucker, this exercise may come in really handy, as it does not require any space and is really easy to carry out, as long as you do not strain your back too much. A trucker can find a comfortable space in his truck to carry out this exercise with the utmost of ease. How seldom you go to the doctor and he advises you to walk in order to cut down on the extra fat or reduce the level of cholesterol. 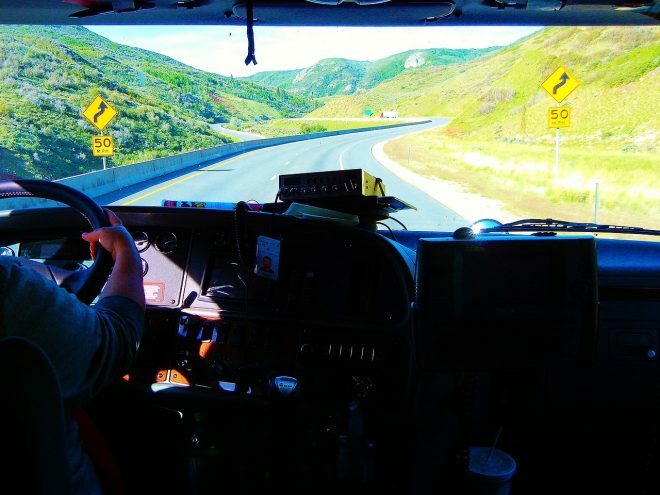 A trucker can easily walk through a couple of laps around his truck in order to stay fit. As a rule of the thumb, start with a normal walk and after a minute or two make it more intense. By investing just about $15 you can get a resistance band, which can open doors to new horizons as far as exercises for the truckers are concerned. You can use your truck as a prop in order to carry out numerous exercises.